It turns out that Sony wanted Tobey Maguire to come out of retirement as Spider-Man. Or, at the very least, it was something that was put on the table and didn’t’ actually come to fruition. This wouldn’t have been a return to live-action for his Peter Parker, mind you. However, there was some thought put into having him voice the older version of the character moviegoers are set to witness in the animated Spider-Man: Into the Spider-Verse. This reveal comes from one of the movie’s directors, Rodney Rothman, who co-directed the animated Marvel adventure with Bob Persichetti and Peter Ramsey. 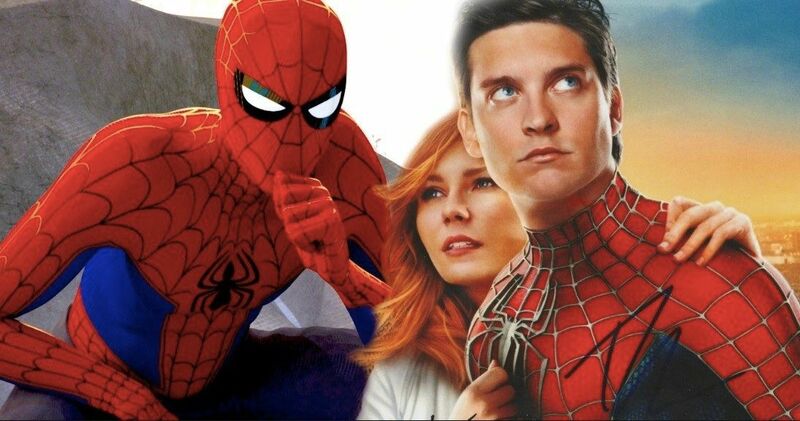 During a recent interview, Rothman was asked whether or not Tobey Maguire was considered for the role of Peter Parker once again, a role that ultimately went to Jurassic World and New Girl star Jake Johnson. Here’s what Rothman had to say about it. The idea of seeing, or in this case hearing, Tobey Maguire back in the role would have been a nice treat for fans. Maguire, along with director Sam Raimi, helped make the modern era of superhero movies what it is with their live-action trilogy. While this would have been a nice touch, it maybe would have taken something away from the fact that Spider-Man: Into the Spider-Verse is the first movie in the franchise to focus on Miles Morales, the other version of the character created in the world of Marvel Comics that fans have been dying to see for years. While it may not be live-action, and it may not have Tobey Maguire in it, early word is that everything the directors did paid off beautifully. As of this writing, Spider-Man: Into the Spider-Verse has an unblemished 100 percent approval rating on Rotten Tomatoes, with 59 reviews counted. While that score may well drop at some point, that already makes it one of the best-reviewed comic book movies ever made. Not to hype this thing up too much, but it looks like this could be the Spider-Man movie a lot of people have been waiting for. The cast includes Shameik Moore, Liev Schreiber, Mahershala Ali, Brian Tyree Henry, Lily Tomlin, Hailee Steinfeld, Kimiko Glenn, John Mulaney and Nicolas Cage. Luckily, thanks to the early buzz, Sony is already working on a sequel, as well as a Spider-Woman spin-off movie, meaning that there could very well be chances in the future to have Tobey Maguire reprise his role as Peter Parker. Which might make sense, because there are more than one Peter Parker running around New York in the Spider-Verse. While Jake Johnson is playing the main version of Peter Parker here, Chris Pine has a cameo as another, multiverse version of the web slinger. Even if Tobey Maguire never returns to this franchise, it sounds like we’ve got a great superhero movie coming down the pipeline to look forward to. Spider-Man: Into the Spider-Verse arrives in theaters on December 14. This news was first reported by Screen Crush.